The Central Bank’s Public Debt Department in a recent press release had informed the public that Sri Lanka had continued to improve its external debt sustainability indicators (available at: www.cbsl.gov.lk ). These indicators, according to the Central Bank, had been computed “in accordance with the Manual of (sic) Effective Debt Management of the United Nations Economic and Social Commission for Asia and the Pacific (UNESCAP)”. Apparently, the objective of the Central Bank would have been to allay the fears of the people that the country is heading toward an external debt crisis – a view which they had heard from many critics. It is, therefore, not unusual for some printed media to consider the communication important enough to be reported on their front pages with bold headlines. The web-based media and the wire services too had given prominence to the communication. This type of communications by the Central Bank and the media publicity given to them are a salutary development since they give an opportunity for concerned citizens to carefully examine the contents of those communications and generate a public dialogue on the important issues facing the country. Sri Lanka’s external debt has been a critical issue for many decades since it has been rising in absolute terms continuously. For instance, in 1948 – the year of independence – the country’s external debt amounted to only $ 38 million or 4.4% of GDP. But in 2013, that had stood at $ 39 billion or 59% of GDP. At the time the country gained independence, of its external debt, about 67% was owed by the central government and the balance by the private sector. However, after the economy became diversified since the 1980s, private foreign debt became gradually significant. Accordingly, foreign debt owed by entities other than the central government had risen from 33% in 1948 to 44% in 2013. Thus, it is not the government’s external debt but the country’s total external debt that should be considered for effective debt management. Another significant development during this period, especially after 2005, has been the phenomenal increase in the share of commercial and non-concessionary foreign borrowings of the central government. This is understandable because after Sri Lanka graduated to a lower middle income country in 2010, it no longer could borrow at concessionary rates from international lending institutions and had to resort to commercial and non-concessionary borrowings to raise the required foreign financing. Thus, in 2005, commercial and non-concessionary borrowings of the central government amounted to only 4% of its total foreign borrowings. However, data for 2013 shows that this share has now risen to 50%. This share is expected to rise further in the future since the country’s investment requirements are on the increase and the high consumption and consequential low savings levels do not permit it to finance them from domestic sources alone. Hence, given the fragile external sector, with a significant deficit in the current and capital account transactions amounting to about 4% of GDP, the country has to continue to borrow abroad in order to make annual interest payments and repay the maturing foreign loans on the one hand and meet the wide saving-investment gap on the other. This compulsory roll-over arising from the former is not a good sign which the public debt authorities should ignore if they are interested in ensuring external debt sustainability. This is not to suggest that commercial and non-concessionary borrowings are undesirable for Sri Lanka. The country’s savings, partly due to low private savings and partly due to the Government’s excess consumption over revenue, a situation called the Government’s dissavings, are around 18 to 20%. But its investment requirements are between 30 to 35%. Hence, the consequential massive savings-investment gap has to be financed by using the savings of foreigners, mobilised through borrowings and direct investments. Borrowings add to a country’s debt, while direct investments don’t. However, direct investments have been at a very low level – less than $ 1 billion on average – generating a little over 1% of GDP. The country does not get worthwhile foreign direct investments due to its poor track record in several key areas: protection of property rights, rule of law, law and order and ease of doing business. Hence, the only source available for maintaining a high investment ratio is to generate funds from foreigners through borrowing and there-again, borrowing from commercial markets. However, since foreign commercial borrowings increase the country’s risk and reduce its debt sustainability, they should be used only in projects that are voted as high priority after carefully conducted cost-benefit analyses. But if they are used in low yielding projects that have been chosen haphazardly, then, such foreign commercial borrowings increase only the country’s risks. Many of the projects funded by Sri Lanka out of commercial and non-concessionary loans in the recent past have fallen into this category. The Central Bank’s communication has appeared in this background of rising fears of an emerging external debt crisis. The Central Bank’s practice of keeping people informed of grave economic issues faced by the country is commendable. However, such communications should be complete, free from errors and display frankness on its part to educate the public. It appears that the press release issued by the Public Debt Department on the status of the country’s external debt does not conform to these good features. The press release says that the Central Bank has computed the country’s external debt sustainability in accordance with the Manual on Effective Debt Management issued by UN ESCAP in 2006. The Manual has been prepared by UN ESCAP to help countries to do better external debt management in the areas of risk management, debt sustainability analysis and debt restructuring. The Manual has codified all the prevailing principles and good practices relating to external debt management as presented in several other manuals issued by key international organisations. They are the System of National Accounts issued by the UN, manuals on Balance of Payments, Government Finance Statistics and External Debt Statistics issued by the IMF and Global Development Finance issued by the World Bank. In fact, the template containing the critical values of external debt indicators presented on page 83 of the Manual and used by the Central Bank for its press release has been sourced by UN ESCAP from this last mentioned World Bank publication. Since a country’s debt risk and debt sustainability issues arise from all the external debt it owes, the Manual, going by the best practices recommended in the above publications, has defined external debt in a very wide manner and highlighted the need for a “comprehensive definition of public sector debt” for proper debt management (p 10). According to the Manual, external debt consists of “both domestic and external debt” held by foreigners (p 11). In terms of this classification, Treasury bills and Treasury bonds held by foreigners, though they are in rupees, are a part of the country’s external public debt. The external debt thus consists of all borrowings of the Central Bank, central government proper, banks and deposit taking institutions, non-bank financial institutions like insurance companies and other state-owned and private corporations (p 11). External public debt consists of, in addition to those borrowed by the Central Bank and the central government proper, all borrowings of state commercial and other banks, state corporations and private sector borrowings with guarantees from the government (pp 12-3). The outstanding external debt position reported by the Central Bank in its Annual Report 2013 (p 154) as per the 6th Edition of IMF’s Balance of Payments Manual, known as BPM6, is in accordance with this definition. It is this stock of external debt that has to be analysed for both risk management and debt sustainability analysis in terms of the UN ESCAP Manual. The numbers reported in the Central Bank Annual Report for 2013 and those mentioned in the press release issued by its Public Debt Department differ from each other significantly raising the issue of which definition of external debt has been used by the latter to assess the country’s debt sustainability. For instance, the press release says that the disbursed external debt outstanding to gross national income has amounted to 37.2% in 2012 and 35.1% in 2013. Thus, the country is ranked as moderately indebted. Since the country’s Gross National Income or GNI in 2013 was $ 65 billion, the disbursed external debt outstanding used for this calculation would have been $ 23.5 billion which is close to the central government’s external debt reported in the Central Bank Annual Report 2013 in its Table 6.6 on page 177. That number is Rs. 2,960 billion or $ 22.9 billion. However, the calculation of this ratio by using the outstanding external debt reported in Table 5.12 on page 154 of the Annual Report 2013 which is the correct figure for analysing the country’s debt sustainability reveals that it has been 64% in 2012 and 61% in 2013. In terms of these numbers the country is ranked as highly indebted. The press release has reported that the ratio of disbursed external debt outstanding to export of goods and services at 111.1% in 2012 and 106.6% in 2013 ranking the country in the less-indebted category. Here-again, there is a discrepancy in the disbursed external debt outstanding used for this calculation. Since the export of goods and services in 2013 (Table 5.13 on page 155) has been $ 15.1 billion in 2013, to arrive at the above ratio for that year, the disbursed external debt outstanding should be $ 15.9 billion, a number significantly different from the one used in the previous calculation. But according to the numbers reported in Table 5.13, the total external debt outstanding is 275% and 265% higher than the export of goods and services in the two respective years. Though they are within the range of moderately indebted category, they are on the threshold of moving into the highly indebted category – an ominous red light which should not be ignored in any meaningful debt sustainability analysis. The total debt service payments as a ratio of export of goods and services, commonly known as debt-service ratio, has been reported in the press release as 11.4% in 2012 and 11.2% in 2013 – a level that categorises the country as less indebted. When one works backward, this represents debt service payments of $ 1.6 billion in 2012 and $ 1.7 billion in 2013. This is even less than the Government’s debt service payments, as reported in Table 6.7 on page 179 of the Central Bank Annual Report 2013 that had amounted to $ 2.2 billion and $ 2.4 billion in the two respective years. However, what is reported in Table 5.13 of the Annual Report (p 155) is that the debt service ratio is critically high at 19.7% in 2012 and 25.3% in 2013 placing the country in the moderately indebted category. Similarly, the ratio of external interest payments to export of goods and services reported in the press release also differs from what has been reported in the Annual Report though both sets of numbers place the country in the less indebted category. The press release says that these two numbers amount to 3.6% and 3.9% in the two respective years whereas according to the data published in the Annual Report they stand at 6.5% and 7.3% respectively. The net present values of disbursed external debt outstanding as ratios of GNI and export of goods and services are also confusing. The formula given on page 79 of the UN ESCAP Manual is not the net present value but the present value of the future debt service disbursements. It has not been netted against the current face value of the outstanding debt. The summation of the actual future debt service payments that include both the principal and the interest should be greater than the disbursed external debt outstanding by the amount of interest involved. The appropriate discount rate, according to the Manual (p 81) is the discount rates relevant to the principal currencies the country has borrowed which in Sri Lanka’s case should be the US dollar interest rate. It appears that the Public Debt Department has applied two different discount rates to calculate the relevant present values in the two indicators mentioned above. When the PV to GNI ratio is worked back, PV of debt service payments amounts $ 27 billion in 2013. However, when the PV to export of goods and services is worked back, the PV of debt service payments comes to $ 18 billion. This discrepancy can occur only if a higher discount rate is applied to calculate the PV in the latter case. But if the same discount rate as the one used in the first calculation were used, the ratio of PV to export of goods and services increases to 180% listing the country in the moderately indebted category. In terms of the IMF’s External Debt Statistics: Guide for Compilers and Users (p 262), this ratio is high enough to rank the country above the threshold of a Highly Indebted Poor Country or HIPC. Thus, by manipulating the discount rate to be used, it is possible to reduce the PV ratios to any desired value. This confusion could have been avoided if the discount rate used had been disclosed in the press release. There are many other indicators suggested by both the UN ESCAP Manual and IMF’s External Debt Statistics to assess a country’s external debt sustainability. One such indicator used by ESCAP in its Economic and Social Survey for 2013 is the External Debt Vulnerability Yardstick (p 32). In this Yardstick, the sum of short term external debt, quarterly imports based on four quarter moving average and estimated international portfolio investment is expressed as a percentage of the external reserves of a country. It thus measures the number of times a country’s short term obligations are bigger than its available foreign reserves. By using the numbers reported in the Central Bank Annual Report for 2013, this yardstick was calculated in respect of 2012 and 2013. It amounted to 197% and 188% in the respective two years placing Sri Lanka in the category of most vulnerable countries. The indicators used in the Central Bank press release are therefore incomplete, erroneous and confusing. The numbers used are significantly different from what has been reported in its own Annual Report. When the indicators are reworked by using those numbers, the results are different from what the press release had sought to convey to the public. The reworked numbers do not allow the country’s external debt managers to be complacent. Most indicators indicate that the country is at the threshold of high external debt vulnerability. That is an ominous red light and that red light has to be taken seriously. Sri Lanka’s external debt sustainability: Complacency based on incomplete analysis may be the worst enemy. These are not current problems, but future problems. By then, the current set of politicians will be replaced, and a new set will take over. They will have to deal with it, and they will be very unpopular..
Robbing Peter to Pay Paul,,,. USA is doing it, Greece did it and is now paying for it.. and Sri Lanka is doing it. Sri Lanka is #29 (78%) and Greece # 3 (175%). Quite a ways to go for Sri Lanka.. This is being solved at the agony of the SL expatriates especially domestic workers. This means more expatriates and more slavery for maids. Long live delusionary Sinhala public who are lost in the Jarapass regime’s SPIN, lies and video tape! The politicians of the govt AND opposition are responsible for the delusionary state of the Sinhala Moda Masses who have been kept ignorant and uneducated by ALL political parties and particularly by the ultra neoliberal UNP! 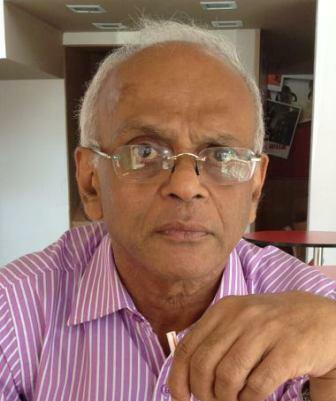 The UNP economists and Ranil Wickramasinghe who should be educating the masses about the sorry plight of the economy are useless..
(CNN) — The man who shared images of the abuse that a Filipino maid allegedly suffered on the job in Saudi Arabia said he did so because he didn’t know what else to do. Arnel Tahal is a cousin of the victim, Pahima Alagai Palacasi, and was shown the graphic photos of burns all over Palacasi’s back, arms and legs by another cousin. The result is that the injured Palacasi, who is married and has two young children, will remain in Riyadh in a search for justice. The burns allegedly came at the hands of her employer’s mother. 1.”Robbing Peter to pay Paul” has no malice in it and is totally inapplicable to the matter discussed here. to borrow money from someone in order to give to someone else the money that you already owe them Then I’d take out another loan to pay my debts, robbing Peter to pay Paul. Initial burrowings are by the Govt. and Non-Govt. Paul is the External Debt. Peter is the People, the Expatriates and Maids, that will have to earn it and pay. Sooner or later prices have to increased, imports decreased and the money saved have to be used pay the External Peter. Read as to what Happened to Greece. The country’s economy was devastated by the Second World War, and the high levels of economic growth that followed throughout the 1950s to 1970s are dubbed the Greek economic miracle. Since the turn of the millennium, Greece saw high levels of GDP growth above the Eurozone average, peaking at 5.9% in 2003 and 5.5% in 2006. The subsequent Great Recession and Greek government-debt crisis, a central focus of the wider Eurozone crisis, plunged the economy into a sharp downturn, with real GDP growth rates of −0.2% in 2008, −3.1% in 2009, −4.9% in 2010, −7.1% in 2011, −7.0% in 2012 and −3.9% in 2013. In 2011, the country’s public debt reached €355.141 billion (170.3% of nominal GDP). After negotiating the biggest debt restructuring in history with the private sector, Greece reduced its sovereign debt burden to €280.4 billion (136.5% of GDP) in the first quarter of 2012. Many thanks for this excellent analysis of the REAL ECONOMY of Sri Lanka. Dr. Wije. Please translate this article into Sinhala Bhasa and publish widely in Sinhala press so that Sinhala Modayas may be educated on the REAL ECONOMY. Your critique and expose of the propaganda and lies and selective accounting of Nivard Cabraal is indeed correct and this scenario was predicted 3 years ago at and IPS seminar. The ECONOMIC CRASH is upon us. The property market is sinking, FDI to Lanka is almost dead, and Casinos and Drugs and tourism is the only hope to Jarapassa. Meanwhile India will boom with Modi in charge and the Indian Stock market set for a mother of all bull markets. Nivard Cabraal at CB does not want his uneducated bosses Mahidna and Basil Jarapassa to know the truth about the economy any more than he wants Sinhala Modayas who are drunk on fake SInhala Buddhist nationalism to know the truth! But the lies are catching up with him and Jarapassa and they will all need to be tried for economic as well as war crimes..
How pathetic that FDI to Sri Lanka is so low despite all the CB spin! Clearly, something is radically wrong with the economy as reflected in the fact that foreign investors have NO CONFIDENCE to invest..
Also, why is Wimal Weerawansa not protesting outside the Chinese Embassy since it is Chinese lenders and Exim Bank that have placed a HUGE DEBT BURDEN on the people of Sri Lanka — by lending to the corrupt and criminal Jarapassa regime? Chinese Banks have given massive loans for useless “development” projects to the corrupt and criminal Rajapaksa regime for the useless Hambantota Port and airport and indebted the people of Lanka..
Dr. Wijewardena, many thanks for telling it as it is! Why is not the clown Wimal Weerawansa of NFF and JHU’s Pathala Champika, protesting NIvard Cabraal’s creative accounts? ALso why isn’t Dr. Harsha De Silva not exposing this? He has rather congratulated Nivard Cabraal and P.B.J for their work in SPIN and LIES?! All the politicians are CON MEN. The UNP economic team obiviously is incapable of macro analysis of the whole picture. The Hambantota White elephant infrastructure, port, airport, cricket stadium, convention centre’s MAINTENANCE alone adds massively to the public debt and debt servicing requirement. I suggest that You. Dr. WIje, Dr. Anil Bandaranaiayake and Dr. Indrajith Coomaraswarmy come out of retirement and take over the country’s finances from the corrupt Jarapassa stooges. Nivard Cabraal must be fired and sent home for all the corruption, SPIN and the rupee devaluation in 2011, and PBJ sent to prison. Dirty politics of dirty politicians cheating ignorant masses. The mistakes in the report pointed out by the author are really scandalous. It amounts to another attempt by the Govt to decieve the public as well as policy makers. However it does not pass the attention of those knowledgable in the subject as the author who is a a former deputy governor of CBSL. CBSL is always painting a rosy picture of the economy according to which we are the wonder of asia. The ground situation faced by the public is quite different. The economic situation of the ordinary citizen is getting worse by the day. Perhaps the public will have to eat the incredulous figures of the CBSL to satisfy its hunger. Your articles are very valuable to ordinary citizens like me. Maybe we should take a page from the First World and add good and services to Raise GDP and therefore lower debt/GDP ratio. c) UK: Future pension benefits. Very interesting and informative. Besides giving us a warning that everything is not as rosy as depicted in these reports, what is implied is that profligate spending has no place in economics. The statistics can fool the people and the under educated denizens in the legislature, but future reality is frightening to contemplate unless the management of the economy is rectified. 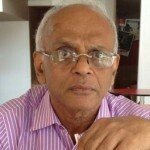 What does Sarath Amunugama have to say? W.A.Wijewardene’s fine article shows a red flag, but unless heeded, it will be a white flag again!